Thanks for mentioning me Lynda. I really did enjoy reading each of these stories. I wondered if you got the inspiration to write them from the writing class you had taken a little bit ago. They were all very well done! Here's the interesting thing about followers; I don't take much stock in them. I picked up several new followers during the challenge but they RARELY if ever commented on any of my posts. I wondered if they just attached themselve to my blog hoping I would do the same, which that's not how I operate, LOL. I follow a blog because I want to get to know someone, read their posts, comment on them, etc. I carefully choose who I will follow because I know that will be a commitment to read what they write and develop a relationship with them. I did read lots of blogs during the challenge (up to 2-1/2 hours a day or more, LOL). Some of the topics really did not interest me but I did try to leave a comment about what they wrote when I visited. I despite "fly by" comments, a couple of which I got through the challenge "Interesting topic, come visit me" because you wonder if they ever bothered to read what you wrote. Again, I read for friendship and to leave a comment to let them know at least I read what they thought was important to read. Of those I visited, perhaps 20% returned the visit, but that's okay. I did read several of Jaybird's posts about New Jersey; it is a pretty state and one I would like to visit sometime! Good for you for partaking in and finishing the challenge! Hope you are up to it for next year as well! Thank you for your thought provoking comment. I understand what you said about followers. I notice the difference in my “voice” when I am writing from my heart. I don't much pay attention to followers. I pay attention to commenters. Because it's really easy to follow and then ignore the blogs you're following (I know I have several that I "follow" but never visit). Your theme was fun this year. I'm glad your finding your stories again. It takes time, but it's worth it, isn't it? I agree with you about followers vs comments. Promoting a dialog and developing relationships is a worthy goal. Yes, for sure, finding my way back to my stories has certainly given me a much needed boost. This is my first visit to your blog and I'm coming from the reflections. I feel pretty much the same as your other commentators about followers. I really do the challenge for myself and my writing. I enjoy getting comments and I do reply and visit back but I'm not in it to gain a lot of followers etc. Now that I've read your wrap up, I want to go read some of your fiction! Thanks to your comment and the others I have received, you all have given me another perspective about followers. I'm so sorry to learn about your son. I didn't know that. I'm glad you are healing. I found writing/blogging about my Mother when she passed a few years ago very cathartic. I actually did in a-b-c style. I used the letters to help me remember a story or happening. I did get stuck on a few letters, and actually never finished the alphabet. I wrote them slowly, perhaps I'll revisit and see if I can remember something for those missing letters. Glad you enjoyed your experience with a-z. I am officially following you now, actually thought I had already done that since I added you to my blog log. Thank you for you condolences. It’s been tough. I lost my mom only a few months before my son was diagnosed with stage IV colon cancer. I have a great deal of respect for your worthy cause. You have put a face and individuality to a group of our community that most people don’t get to know on that level. Your story is so inspiring. I'm so sorry for your loss and understand how it would have dragged down your desire to create. I admire your strength and resilience. Thank you for your kind and comforting words. I really appreciate them. I am new to your blog from the A-Z challenge and I must say you have a talent for telling a story. I hope you are able to keep writing and it helps you to continue to deal with the loss of your son. Thank you for visiting and for your kind words. And yes, my aim is to keep on writing because it truly does help. Thanks for the mention. Yours was one of my favorites because of the characters. Sometimes I find it hard to get into flash fiction pieces, but these were so easy to read and identify with. I'm surprised to read this was your first foray into fiction writing, and I'm also so sorry to hear about your son and hope things continue to get better. Thank you for your condolences. Comments like yours regarding my stories are encouraging. Well done not only for completing the challenge, but also for visiting 200+ blogs! 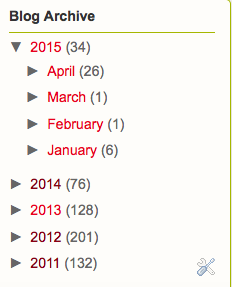 I also finished the challenge (my second year) and so far have visited 450+ and counting blogs. For my own sanity, I did have to pre-write and pre-schedule my posts...I might not have finished otherwise due to the overwhelming task of reading/visiting/commenting. This is a huge event and I'm not sure what can be done to better organize it. Arlee and his co-hosts do a lot of work behind the scenes as well as managing their own blogs. There are, however, a lot of spammy and advertizing blogs that always seem to get on the list or simply others who link up then post nothing or just one or two posts for the whole month of April. Please know these are not some wishy washy promises made by mortal man, but a sure, solid hope of a resurrection, of seeing our dead loved ones again in the near future. God's Word is true since God cannot lie (Titus 1:2). Wishing you well. Thank you for visiting. The A-Z challenge was interesting and a lot of fun. Thank you also for your condolences. I have little to none experience with the Bible. But I understand many do receive a great deal of comfort from their spirituality. And I thank you for reaching out to me. I am finding you through your reflection. Sorry I never made it during the challenge. I am a writer too and I attacked the large list of participants by visiting the (WR) designations, as many as I could. I'm sure you have heard the expression about writing your way into the story.... write yourself into the future that is beckoning you forward. I know the list is a little overwhelming. The reflections list is more manageable. That was very ambitious to attempt fiction for the first time with 26 Challenge posts. Congrats! Now I wish I had been following along, but I can delve back. Writing has been such a balm to me through hard times but especially the hardest - losing my stepson in 2013, so I can appreciate the feelings you describe here. I plan to be back to check out your future posts. I enjoyed doing the fiction thoroughly. On a personal level it has opened up new possibilities for me. I hope you do continue with the fiction - it's quite good! Glad you paid my blog a visits so that I got back to yours, looking forward to reading more. Thanks for visiting and for the compliment. I do appreciate the encouraging words. I agree the challenge is great for many reasons, but motivation especially. I made a promise to myself to keep writing, I hope to do so! First of all I wanted to tell you how sorry I am about the loss of your son. Having lost a child myself, I know the anguish and depression that follows and that the pain never goes away. It does, somehow, not hurt as much every day, but getting to that point is different for everyone. My heart goes out to you. I am sorry for your loss. You know I understand. Thank you for your condolences. It is tough. The challenge was fun and therapeutic in some respects. I understand what you mean about followers. In the past I have not been as diligent about leaving comments after visiting a blog. But now, especially after completing the challenge, I have tried to lurk less and comment more. It does make a difference! I have been to your blog on previous A to Z Challenges. Sadly, I didn't make it this year. It is so hard to get around to all the blogs during April. This is my first year for the A to Z Road Trip. I find it easier to stop and look around. Then I bookmark those blogs I want to return to. Which is what I will be doing with yours today! I cannot imagine what it would be like to lose a son. I am so very sorry! Hi Paula, I am a frequent visitor to your blog. I may not always comment, something I probably should do more of, I guess, but I do enjoy your posts. I am also participating in the A to Z Road Trip. I tried to visit as many blogs as I could during the challenge. It’s really hard. I do understand. Thanks for stopping by. As a first time visitor, I didn't know about your son. I am so sorry for your loss, but pleased to hear you are starting to come to terms with it. On a happier note, I really loved your theme. I have just started writing fiction for my blog ready for my theme in June and I offer you sincere congratulations on writing 26 pieces in one month! Thank you for the visit and for your condolences. Good luck with your fiction. I did have fun with it.